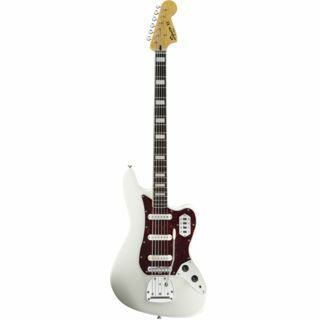 The Squier Vintage Modified Bass VI 6-string bass guitar in Olympic White is a recreation of the highly-desirable original Bass VI model of the ‘60s and ‘70s, but with a few modern touches to bring it bang up to date. The Squier Vintage Modified Bass VI features a lightweight, offset Basswood body that is joined by a 30” scale Maple neck, which is topped by a 21-fret bound Rosewood fingerboard with pearloid block inlays. The neck and fingerboard differ slightly from the original model as they have a modern-C profile and 9.5” radius respectively. This extended scale allows the Bass VI to be tuned a full octave below a standard guitar, meaning that chords and phrases can be easily transferred to this instrument. 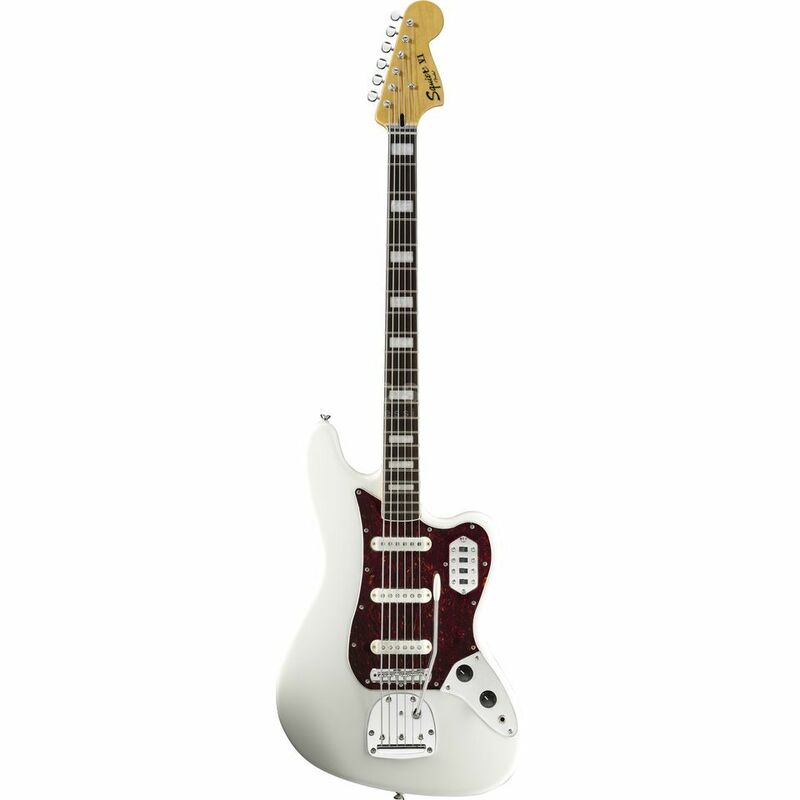 The body of the Squier Vintage Modified Bass VI is equipped with a set of custom-wound Jaguar single-coil pickups with notched “claw” shielding. As per the ‘60s original, four two-position slider switches are fitted – three on/off switches for each pickup and one bass-cut “strangle” tone switch. These are accompanied by master volume and tone controls, meaning that the tonal possibilities of the Bass VI are almost endless. 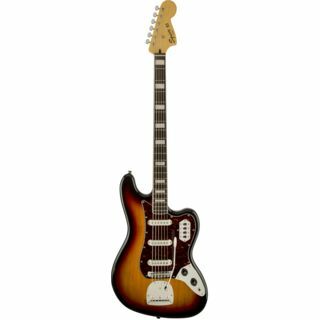 Finally, the Squier Bass VI 6-string bass guitar comes fitted with a vintage-style six saddle bridge, non-locking floating tremolo, a tortoiseshell pickguard and a set of vintage-style tuners.